One might never think that Bin Ramke’s Tendril (Omnidawn 2007)—built on a careful investigation of the history of the bicameral mind (or schizophrenia), mathematical logic, Greek prosody, and metonymically, etymologically lyric poetry—is haunted by Hurricanes Katrina and Rita, which arrived over the course of a month (this month, as it happens, for I am writing in late September), making landfall within a few hundred miles of each other. Tendril is a complex book, drawing its inspiration from a resonant range of sources, but I was given this book at a Symposium on Hurricane Katrina at the University of Denver, "After the Storm: No Calm" (organized by former New Orleans resident Jessica Munns), and therefore my reference point is hearing Ramke read the title sequence in the context of that very destructive month in 2005 -- putting the “ear” in “tears.” Few knew how to respond to the sheer magnitude of the destruction, even, famously or infamously, the government. But if one has some personal tether to Louisiana, as I do, something broke open that doesn’t close. Some . . . I don’t know . . . call it an attentiveness to all that the hurricanes stirred up: what had been hidden was now revealed. Call it not forgetting. On his mother’s side, Ramke is from generations of French-speaking Cajuns who populate western Louisiana, where he grew up. The family homestead was significantly damaged (walls washed away down to the studs). There was much personal loss, but the poems don’t dwell on specifics (and I am not specifying). They displace loss into form. Sorrow’s tendrils grow out of rich emotional soil, and wind around such flowering. Ramke is not interested in his grief so much as in how it occupies the mind, which has been “bared” by its “environment” (I paraphrase the collection’s epigraph by Julian Jaynes). The mind’s environment can be the outside world, of course, and thus, in a poem contemplating the phenomenon of resemblance, we read of a rainy evening as follows: “This night decants silvery into mind; some mind, /others rejoice,” finding “pleasure” in “the mind minded” (“Resemblance”). The play of idiom, shift of nuance, connotation, ripples as light and shadow on water—which is to say, both on rain and on the mind’s surface. 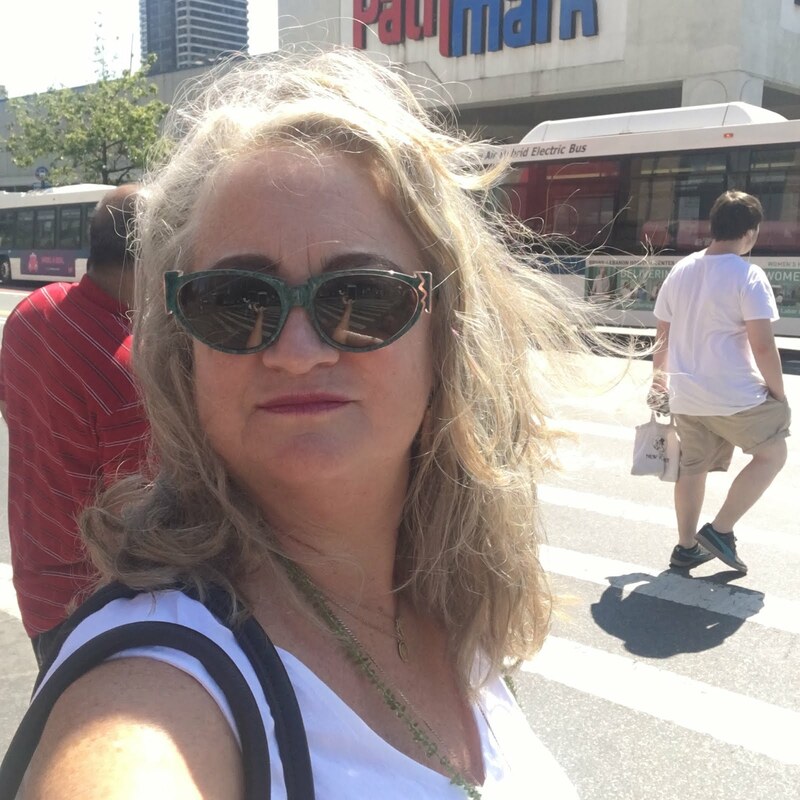 Ramke tracks the play of mind (literally minding the mind) in words. This is a precise but also a delicate aesthetic praxis: “the history of future is a version, aversion is a kind / of aesthetic. As if. The beautiful is a form of that” (“An Esthetic [Ars Poetica]”). Beauty gives form to “that,” which makes it matter: “to make be where once wasn’t” (“Resemblance”), although really, this collection is as much about making present what once was as what once wasn’t. The mother trained as a secretary and placed second in Louisiana’s shorthand test in 1934 (“The aret of brachygraphie, that is, to write as fast as a man speaketh,” P. Bale, 1590), leading to “a hard life for girls.” She turned her skill to recording family stories and conversations, in ornamental and now-inscrutable script: “hers alone, honed, with grace notes none/ now can read without her” (“Gregg Shorthand Dictionary”). Schooled in a severe and sexist service trade, the mother continued to practice “sixty years in the privacy of her own caprice,” as she descended into illness. Her name is lost to the family (her brother died childless, and they were the last of the line). After her death, her stenographic pads of paper were found, filled, but this is an art lost to technological advancement. Not, I venture to say, to social progress. This could only be a woman’s story, and Ramke is alert to that gendered script. died out in the fifteenth century . . .
What fascinates me about such etymological musings is that they track words conceptually back to the origin (or nearly so) of the associational evolution of meaning. Americans equate leisure with emptiness—we might generalize that way—but what Ramke discovers is that it is back in the roots of Anglo-Saxon speech (and therefore culture). In the poem, “emptiness” feels nothing (“your pain is nothing to me/ your desire is nothing to me”) and nothing can crack it open meaningfully (“your empty gesture / into the future called art”) except “something” and/or “anything”: “you’re the first // of the curious races of men/ to be satisfied with something/ anything as long as it can/ be felt against the skin” (“A History of Leisure”). Emptiness is neither empty-headed nor disinterested in what embodiment feels like. The title sequence is an exquisite meditation on art and memory. 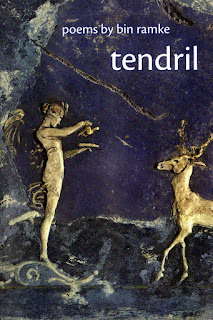 “Tendril (A)” is a prose poem about a plaster relief panel from a Roman wall, displayed in a museum, which Ramke finds himself visiting every day one spring and trying to draw in his notebook (and, as he notes, badly). The section of the relief plaster represents a mold “in the form of a winged female figure alighting on a tendril, set against the dyed blue wall while still wet, the figure alighting between two deer.” The winged figure’s gesture reminds the poet of the angel by Klee, for “in her hand [is] an offering to the deer she faces.” The wings are curved and carved—“to carve, a graph, engraved in plaster . . .” (ellipses in original); the curve of place and time between the Buddha and Heraclitus, who were contemporaries. There are algebraic and transcendental curves, the one expressed by equations, the other “involving higher functions . . . representing the probabilities of recurrences of an event.” The curve of place and time between the Buddha and Heraclitus probably represents the probability of recurrences—of thought, perhaps, or philosophical insight. Or perhaps of loss. The curve of the wing of the winged female figure is surely reminiscent of the curving grace notes of the mother’s shorthand. The curve is both replication and response: “Replicatory can mean, ‘of the nature of a reply.’” The answer that unfolds has to do with a memory of speaking, or listening, as in the act of saying or hearing, “I love you,” and the experience of being left when someone one loves dies, of not recognizing the land on which one grew up it was so changed by storm. “I suppose I cried,” Ramke continues (“Tendril [B]”). At an ecopoetics conference held outside Exeter, U.K. around solstice, "Skylines/ ECOPOETICS: Language & L=a=n=d=s=c=a=p=e=s," organized by Elizabeth-Jane Burnett and Becky Fensome, Harriet Tarlo asked (following Marcella Durand), “Are we in or of nature?” Bin Ramke’s reply is, Yes.